Drawing upon both classical insights and more recent writings, Hearn provides a compelling account of social breakdown in the United States. The book examines the conditions most responsible for the deterioration of social institutions, notably the family, and of communitarian interdependencies, such as those that support neighborhoods. More specifically, Hearn analyzes the defining forces of liberal modernity--among them, especially, the market economy (favored by the political right) and the democratic welfare state (endorsed by the political left)--whose steady expansion has diminished the social contexts that nurture trust, mutuality, and a robust sense of both personal responsibility and social obligation. The originality of Hearn's book lies in the solutions he proposes, which differ from those rooted in what Hearn calls "the languages of modernity." Hearn advocates modes that would serve instead to renew solidarity and reclaim social virtue, a repertory of strategies that would answer Emile Durkheim's call for the creation of moral individualism. 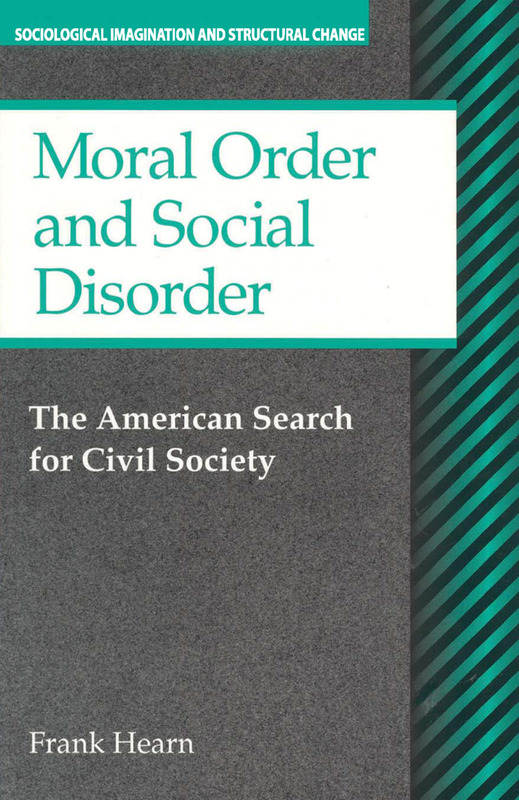 He assesses various approaches to revitalizing the social settings, the social institutions, and communitarian structures within which people become moral individuals capable of care about and taking responsibility for the fates of others. Readers of this book are invited to draw their own conclusions by relying in larger part on themselves as parents, neighbors, community members, and citizen-participants in a civil society in restoration. As the American Journal of Sociology notes, "the book succeeds in its goals, and it deserves to be widely read. "Frank Hearn was professor of sociology at the State University of New York, College of Cortland, and the author of Reason and Freedom in Sociological Thought and The Transformation of Industrial Organization.